HBA are now distributing CARPLAN NEW COLOUR MATCH SYSTEM, with over 600 new colours added to the existing range and 10,000 colour matches available! 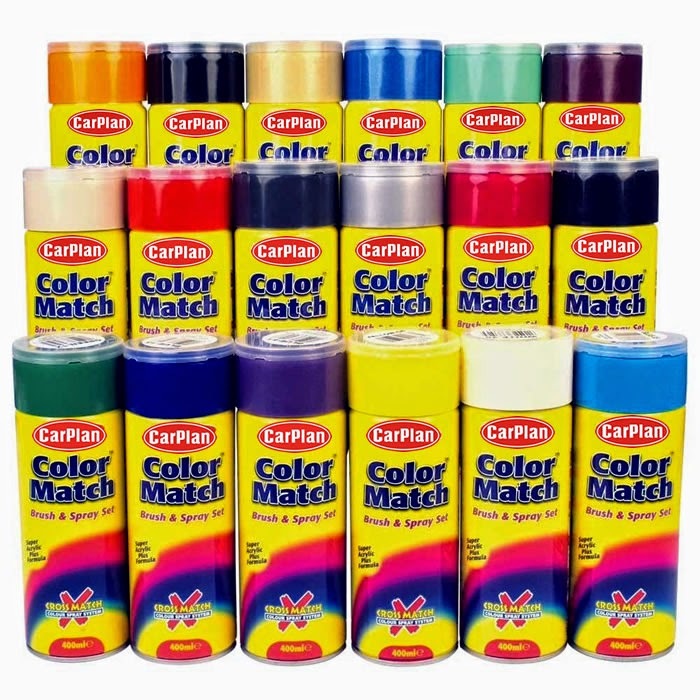 The Colour Match systems includes their new innovative cap, designed especially for the CarPlan Color Match™ 400ml aerosol paint range. Tetrosyl commissioned a new cap mould to meet all the practical considerations of the popular & high-volume brand. CarPlan Color Match™ ‘touch in’ brush will be held neatly within the new cap in a specifically developed holder on the inside base of the cap. The unique brush and spray set comes in a comprehensive range of standard, metallic and pearlescent colours. The range covers 225 core colours enabling matches to over 9,000 vehicle shades.